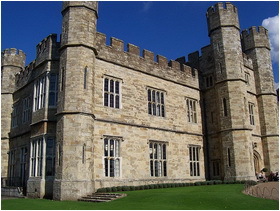 Leeds Castle, though only one of hundreds of castles in the U.K., is unique in that it has been updated to a comfortable, livable one. It became a royal palace over 700 years ago and has seen no military action for almost that long. The castle lies in a large park on a small lake -- a beautiful sight, especially in the moonlight. A Saxon manor was built there in A.D. 857. 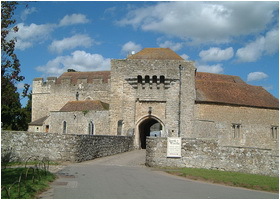 After the Norman conquest in 1066, it became the home of the Crevecoeur family. 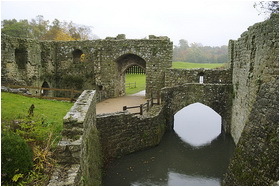 From 1278 on, Leeds Castle was a royal palace where King Edward I built a fortified mill and barbican. In 1321 the castle fell to the troops of Edward II because his queen was refused admission, and that was the last military event there. Its reputation of being a ladies' castle grew as it became the home of six medieval English queens, including Catherine de Valois, the widow of King Henry V, who married Owen Tudor, founding the Tudor dynasty which reigned from 1485 until the death of Queen Elizabeth I in 1603. Henry VIII. particularly enjoyed the castle and left many architectural improvements. 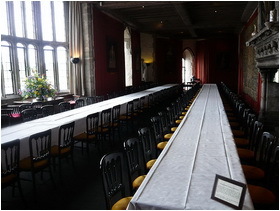 In 1552 Leeds Castle was granted to Sir Anthony St. Leger, the Lord Deputy of Ireland, for helping consolidate British rule over all of Ireland. Thus the castle ceased to be a crown property and became a private residence. St. Leger's successors were the Smyths, who built a large Jacobean house and later sold the property to the Culpeper family in 1632. Shortly before the turn of the 18th century, the castle passed to the Fairfax family. In 1821 the Wykeham Martins inherited Leeds but bankrupted themselves trying to rebuild the Smyth house. Leeds got a reprieve when Charles Wykeham Martin married an heiress in 1822. However, for the next 100 years the property became more and more in need of restoration, clearly a task that most private owners could not afford. Finally, Olive Whitney (later known as Lady Baillie), an American heiress who was among the wealthiest women in England, bought the castle in 1926 as a home for her family. 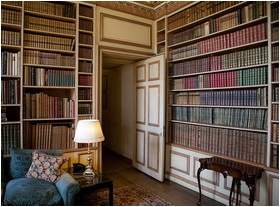 She spent almost 50 years restoring the structure and decorating rooms with fine furniture, ceramics and tapestries. Shortly before she died in 1974, she set up the Leeds Castle Foundation to maintain the castle in perpetuity. Since 1976 it has been open to the public, receiving about half a million visitors each year. Now the castle, is used for political or medical conferences, weddings and other events that benefit from a wonderfully modern, secluded environment housed in a thousand-year-old castle. 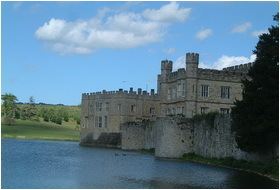 The Leeds Castle is open year-round, except Christmas and open-air concert days. 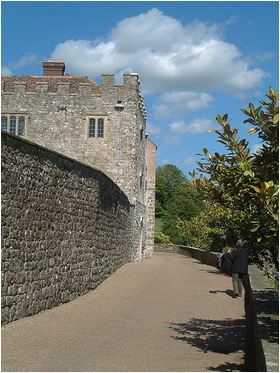 You can visit the castle between 10 AM and 5 PM. 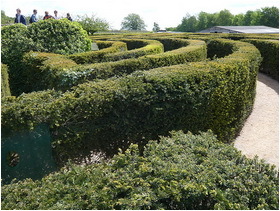 Cost to visit the castle, grounds and attractions is £18.50 for adults and £11.00 for children under 15 yesrs. The tickets are valid all year round, so with a purchase of a ticket to Leeds Castle you can visit it as many times as you’d like. 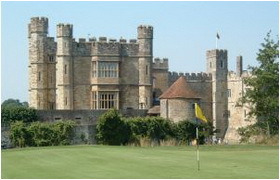 For particular events at the Leeds castle check out their website at www.leeds-castle.com .